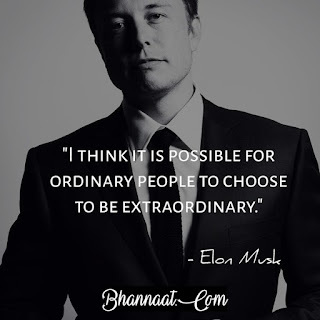 ●Occupation- Entrepreneur, businessman, investor, engineer. 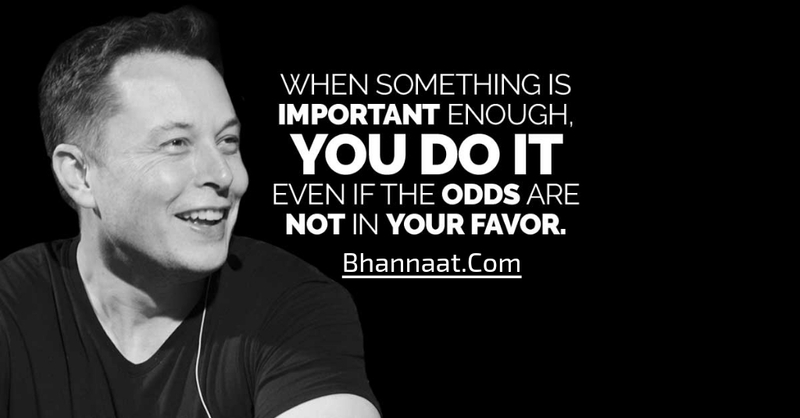 ● When something is important enough, you do it even if the odds are not in your favour. 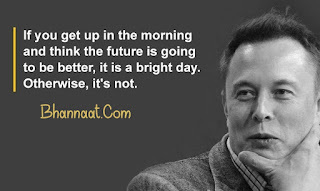 ● If you get up in the morning and think the future is going to be better, it is a bright day. Otherwise, it's not. ● There have to be reasons that you get up in the morning and you want to live. Why do you want to live? What's the point? What inspires you? What do you love about the future? If the future does not include being out there among the stars and being a multi-planet species, I find that incredibly depressing. ऐसा कोई कारण हो सकता है कि, आप सुबह जागो और जीने की इच्छा करो, आप क्यों जीना चाहते है? क्या मतलब है? आपकी प्रेरणा क्या है, आप भविष्य के बारे में क्या पसन्द करते हो? अगर भविष्य आपको तारों तक जाने और बहु ग्रह वासी होने का सपना नही दिखता तो मैं निराश होता हूँ! ● When Henry Ford made cheap, reliable cars, people said, 'Nah, what's wrong with a horse?' That was a huge bet he made, and it worked. ● Persistence is very important. You should not give up unless you are forced to give up. ● It's OK to have your eggs in one basket as long as you control what happens to that basket. ● If you go back a few hundred years, what we take for granted today would seem like magic-being able to talk to people over long distances, to transmit images, flying, accessing vast amounts of data like an oracle. These are all things that would have been considered magic a few hundred years ago. ● We're going to make it happen. As God is my bloody witness, I'm hell-bent on making it work. 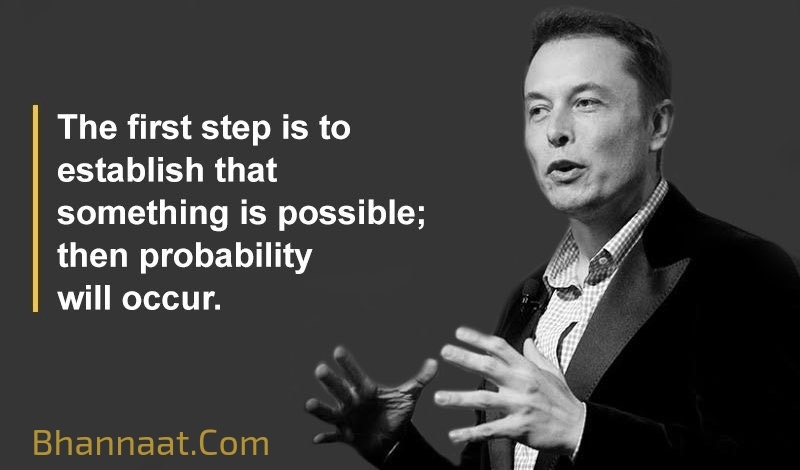 ● The first step is to establish that something is possible, then probability will occur. ● I think it is possible for ordinary people to choose to be extraordinary. ● I could either watch it happen or be a part of it.